For a number of years, Glasgow-based SME, Pascoe Engineering, had been a supplier of the Advanced Forming Research Centre (AFRC), a part of the High Value Manufacturing Catapult. 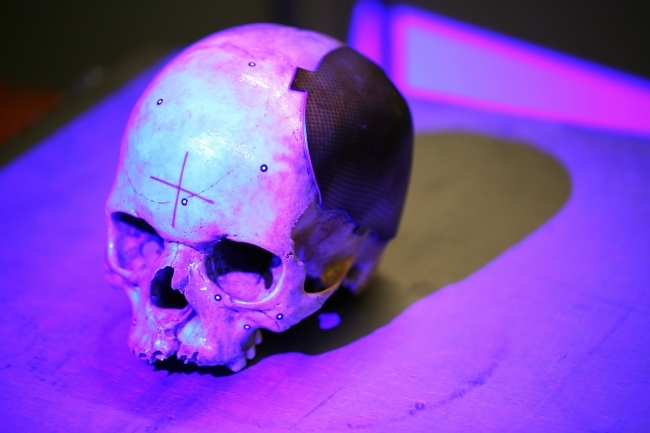 Upon learning about recent research regarding the manufacturing of medical devices, in particular cranial brain implants, the AFRC approached Pascoe with a view to helping the company enter this new market by using its existing skills and knowledge in machining despite it having little previous experience in working in the medical sector. If successful, the project had the potential to not only enable Pascoe Engineering to diversify and look at new opportunities for potential expansion, it could also dramatically improve the process of manufacturing these vital medical implants. Through the University of Strathclyde, the AFRC, was able to source the initial funding for the project and as a result of previous dealings with key stakeholders at NHS Greater Glasgow & Clyde introduced Pascoe Engineering to the relevant NHS mechanical engineers to help build a supply chain and route to market for the new product. Cranial implant surgery is absolutely critical to the repair process for people who have suffered major head trauma or need skull reconstruction. However, using current manufacturing processes, it can take six to eight weeks before a patient receives a suitable implant. To meet the challenge of manufacturing the implants quicker a new way of stretching titanium sheets to fit individual needs, without causing serious damage to the material had to be developed. To achieve this, the AFRC and Pascoe Engineering used a technique called incremental sheet forming, which turns the metal sheet into the final workpiece through a series of small deformations. This approach significantly reduced the cost per piece and increased turnaround time. The process was initially demonstrated on aerospace components, which proved successful, prior to trialling the implants on patients. 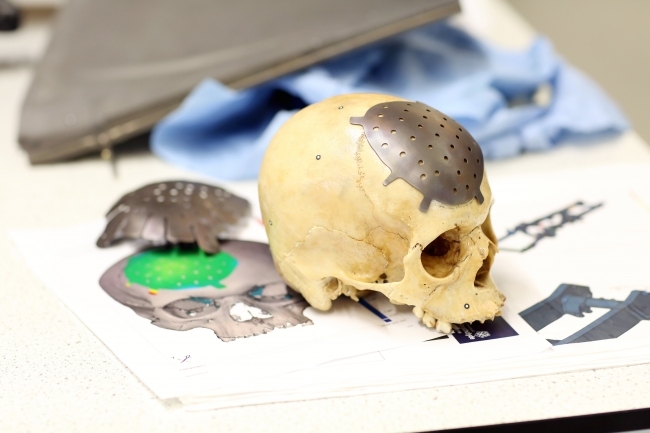 With help from the AFRC, Pascoe Engineering has developed a way of providing a faster, higher quality method of manufacturing titanium cranial implants, opening up an entire new market to the SME and potentially improving patient outcomes. The company has since achieved certification from the Medicines and Healthcare Products Regulatory Agency (MHRA) enabling it to diversify and look at new opportunities for potential expansion and is currently in discussions with key stakeholders at the Queen Elizabeth University Hospital in Glasgow regarding potential patient trials.